Swirled Berries is not the only example of a product that is supposed to be offering fruit as a major ingredient. The next time you choose a fruit snack or other product supposedly giving you lots of fruit, check out how much fruit it actually contains before putting it in your shopping cart. Read this article by the Center for Science in the Public Interest about another of the many culprits who use the old fruit fraud message to sell their product. 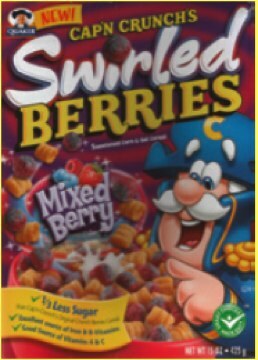 Just because the “Swirled Berries” box says “1/3 less sugar” does not mean this product is automatically healthy! 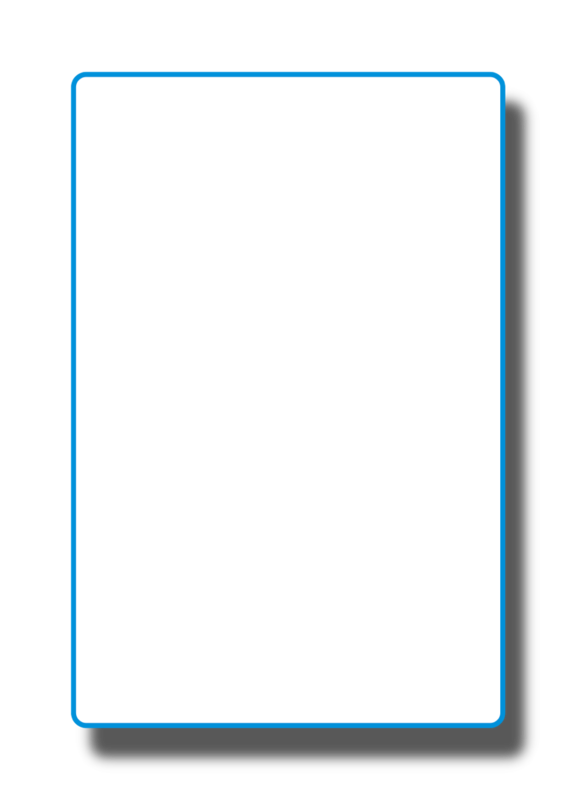 In the mid-1980s, several products removed the word "sugar" from their name. 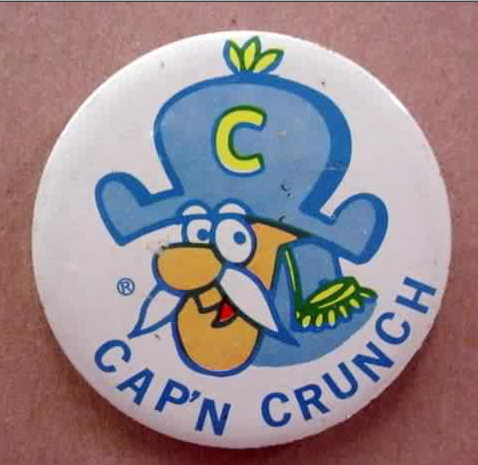 Sugar Smacks became Honey Smacks, and Super Sugar Crisp became Super Golden Crisp, to name just two. But the levels of sugar in the cereals have remained about the same. The bad news is that Consumer Reports rated 23 of the top 27 cereals marketed to children as only Good or Fair for nutrition. 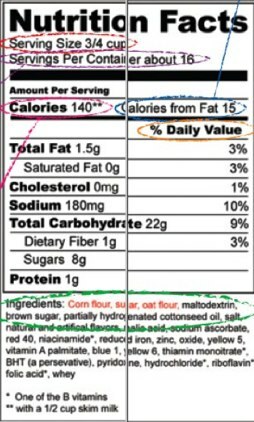 LINK There is at least as much sugar in a serving of Kellogg's Honey Smacks and 10 other rated cereals as there is in a glazed doughnut from Dunkin’ Donuts. Two cereals, Kellogg's Honey Smacks and Post Golden Crisp, are more than 50 percent sugar (by weight) and nine are at least 40 percent sugar. These are the good guys! They include foods such as olive, peanut, sesame and canola oils, and avocados. They are heart-healthy and may help lower cholesterol. These are the most important for maintaining a healthy body. Polyunsaturated fats include corn, cottonseed, safflower, sunflower and soybean oils and fish oil. They have also been shown to help reduce the risk of heart disease. These are considered the “bad” fats because they can raise cholesterol, which can lead to heart disease. Saturated fats are found in meats, poultry, dairy products, such as whole milk and cheese, as well as in some vegetable oils, such as palm kernel oils (found in cookies, cakes, crackers, and other baked products). This type of fat is the worst! 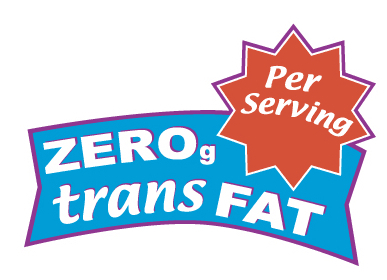 Trans-fat is created when unsaturated fats undergo a manufacturing process called hydrogenation---when a liquid or semi-soft fat is transformed into a more solid state. They are dangerous because they act like saturated fats in the body and raise cholesterol. 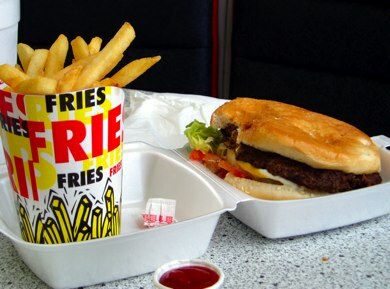 Although product packaging may tell us that a product is trans-fat free, a product can still meet the legal definition if it contains less than 0.5 grams of trans-fat. Check out this article from Consumer’s Report to learn about some products that are said to have removed the trans-fats. Check out the list of 10 worst foods, based on the Center for Science in the Public Interest data. 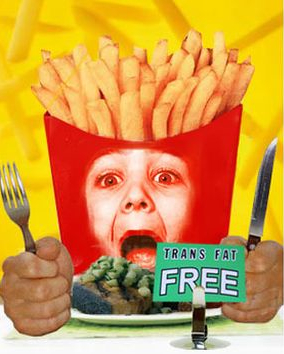 Trans-fat use in the U.S.
Just like our cars need fuel, our bodies also need fuel. However the type of food (fuel) we put into our bodies can make a big difference. 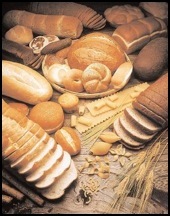 A carbohydrate (or carbs as they are commonly known) is our body’s main source of fuel. There are two main types of carbohydrates---complex and simple. What is the difference? Although fruit and fruit juices are considered “simple carbs,” these foods provide other important nutrients like fiber! Buy juices that are 100% fruit juice! Complex carbohydrates are the main fuel our bodies need. They come from plants, and include grains, vegetables, and beans. Unlike simple carbohydrates, complex carbohydrates provide much more nutrition. The sugar is created during digestion, so it is released into the body at a slower rate. Click HERE to download a report on the Wonderful World of Whole Grains, written by Adrienne Dorf, MPH,RD,CD, Nutrition Consultant, Child Care Health Program, Public Health, Seattle and King County. 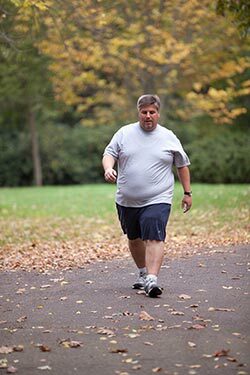 A calorie is the amount of energy that food provides. One of the best ways to ensure our child’s health is to make sure that the calories he/she consumes come from wholesome and nutritious foods! Everything we eat contains calories—but don’t forget that not all calories are created equal! 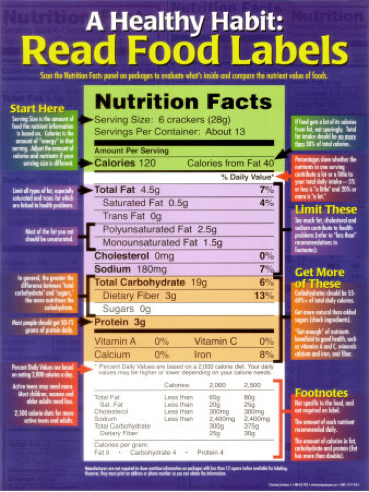 Have you ever heard of the term “empty calories?” Click HERE for an excellent resource: the online Calorie King Counter. Notice how these two foods have the same number of calories but are very different in terms of their nutritional value? Which one do you think would be the better choice?